Hi there Pet Society fans! 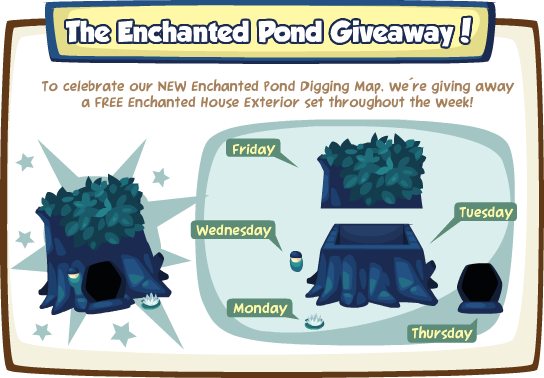 To celebrate the launch of The Enchanted Pond, we’re giving away a FREE house exterior item everyday from April 11 – 15th GMT! All you have to do is play Pet Society and you’ll find your free gift waiting for you. Collect them throughout the week to complete the set! See you Monday… and Tuesday, and Wednesday and Thursday and Friday. Phew!